Alvor Apartment Three Double Bedrooms 5 minute walk to the centre of Alvor! 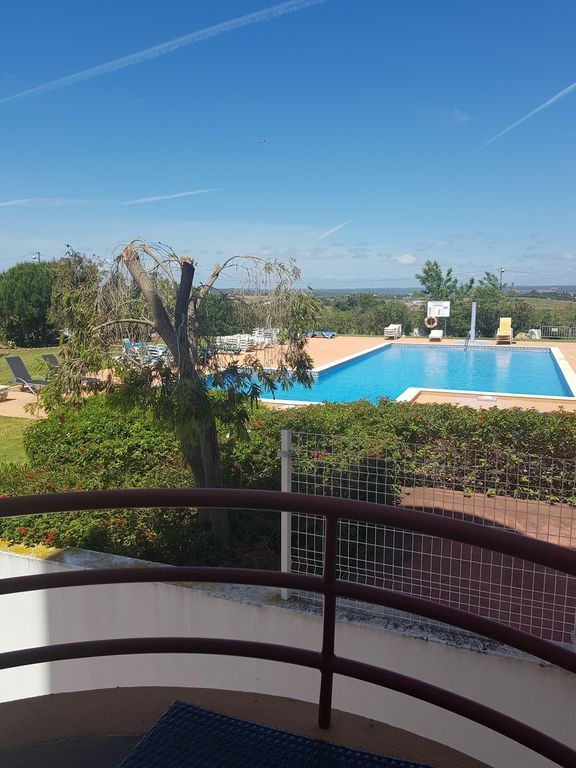 This beautiful three bedroom apartment is set near the heart of Alvor village. It is situated very close to many local attractions and amenities, and is perfect for families or couples. The village centre is five minutes walk, whilst the beach is only a further ten minutes away. The local supermarket, bars and restaurants are only minutes away. The apartment consists of two double bedrooms and one twin bedroom. One is en-suite and one has a cot included. There is a large separate living room with a double sofa bed to sleep extra guests, and there is a separate large kitchen and dining area. Suitable for families of all sizes with balconies looking out over the communal pool, the sea and the Monchique mountains. The apartment has access to a full range of television channels from UK, Netherlands, Germany, Belgium, Portugal and Ireland. Long term discounted winter rental (1 November - 31 March = €800 per month) is also available. As a family we have been coming to Alvor for twenty years. We all agree that this is the best apartment we have seen in all of that time. we now live here permanently and can share the experiences that we've had by offering our wonderful apartment. Perfectly situated close to everything that you need on holiday in Alvor. The complex has a large communal pool set in gardens with views of sea, lagoon and the Monchique mountains. The large local supermarket is only a few minutes walk for all of your grocery needs. There are several local bars and restaurants within two minutes if you do not want to walk further, whilst the vibrant village centre is only a five minute walk. the beach is only fifteen minutes walk from the apartment. it is also a great base for those who want to sample the numerous local golf courses which include Penina, Palmares, Alto, Morgado and Alamos. or attend the local skydiving facilities. Access to the local main coast road and the A22 motorway is only minutes away by car. This property really does feel like a home from home. It's size ensures that, regardless of family size, you do not feel crammed together. Full access for those of limited ability ensures that all members of the family can enjoy the facilities. The full range of amenities within the apartment also ensures that those who want to stay indoors for a time have plenty to keep them occupied. A number of local skydiving clubs at the local Municpal Airport 1.5 Km from the apartment.